My fifteen minutes of Christmas sewing were the only non-craft-show sewing I got to do this week, so I'm very grateful for the forced opportunity to do some piecing. It definitely needs a skinny red border to tie it all together. 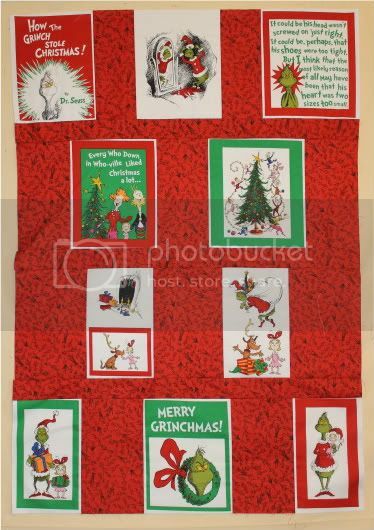 Then I have green and white Grinch-y fabric for the back, of which I can cut 3" borders. I think. I need to double check my math before cutting! As leaders and enders, I pieced 2.5" squares for the Christmas Stars. 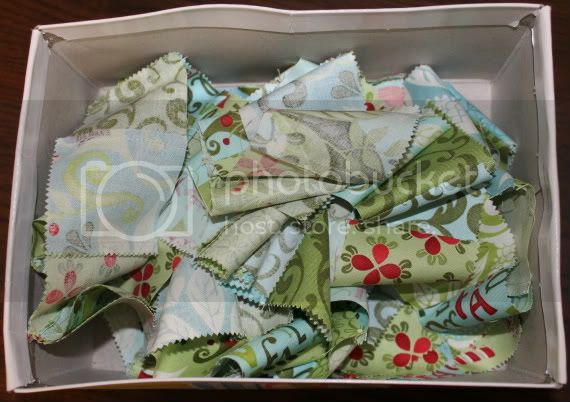 So now I have a box full of those to press and add as a border. Which needs to be done before I can start the Advent Calendar, which will be made of the leftover charms. Check out how others are managing their time at Life in Pieces!